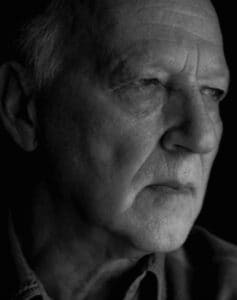 Werner Herzog once referred to himself as a soldier of cinema, but in recent years he’s been more like a soldier of fortune. He’s never been busier, premiering three new features this year alone, but more of his personality comes through in the interviews he does to promote them than in the films themselves. Given that Herzog doesn’t own a smartphone and has always favored the natural over the mechanical, you might expect he’d approach a documentary about the Internet with extreme skepticism, like the world’s smartest cranky grandpa. But “Lo and Behold: Reveries of the Connected World,” which was financed by the cybersecurity firm NetScout, is more starry-eyed than cynical, a Herzogian gloss on a corporate promotional video. “Lo and Behold” takes its title from the first word ever sent over the Internet, a cry of astonishment produced by accident: scientists at UCLA intended to tell their colleagues they were online, but the system crashed two letters into the word “log.” Herzog’s sense of wonder is less inadvertent. 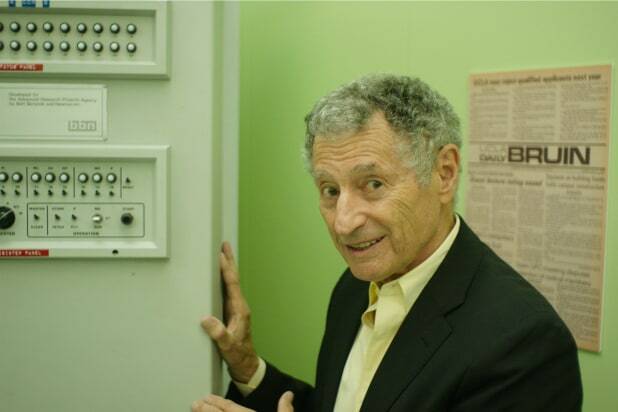 He opens the movie with the ecstatic build of the prelude to Wagner’s “Das Rheingold,” just as Terrence Malick did “The New World,” and as Leonard Kleinrock shows off the first node of what would become the internet, a massive, sturdy metal cabinet that looks like it could sustain several blows from a sledgehammer, there’s a similar sense of boundless possibility being opened up. As in “The New World,” that endless possibility soon crashes into the ugly reality of human nature. “Lo and Behold’s” second segment, “The Glory of the Net,” is followed by “The Dark Side.” The latter consists of an interview with the parents of Nikki Catsouras, who endured almost unspeakable torments after photos of their dead, nearly decapitated daughter were leaked onto the internet. Make that literally unspeakable as far as Herzog is concerned, who treats the most inhumane of those attacks as he did the tape of Timothy Treadwell’s death in “Grizzly Man,” carving out a space for them in the film that he then pointedly refuses to fill. Given that Catsouras’ father describes receiving an email with a photo of his daughter’s corpse and the words “Woohoo Daddy! Hey daddy, I’m still alive,” the mind reels, as its meant to, with the possibilities of what could have been worse. When her mother, a devout Christian describes the Internet as “the spirit of evil — the antichrist,” it’s unsettling, but you can’t exactly blame her. Many of Herzog’s recent documentaries have been produced under the aegis of TV channels, and “Lo and Behold” often feels like a miniseries compressed into feature form. Its segments broaden an understanding of the internet’s impact, but they don’t meaningfully interact with each other. Do we sign onto an astronomer’s apocalyptic vision of what the world might look like if a giant solar flare wiped out the online world? Or the apparently bucolic existence of people who have taken up residence in the transmission-free area around a radio telescope in Green Bank, West Virginia, effectively living as if the internet never existed? There’s no grand vision to the film, just a lot of smaller ones nestled side by side. If it had half the segments, and they were twice as long, the movie might be able to get beneath the surface and find the monomaniacal characters Herzog is often so great at exploring. As it is, watching “Lo and Behold” is like reading the internet over someone else’s shoulder, watching them click away every time an article starts to get interesting.